you make it sound like a sword isn't useless these days. ya gotta adapt to changes. you can't be carrying a sword all your life. well, the time will come where carrying a sword will be completely useless altogether. You will have to pry my blade from my cold dead hands. Yeah.... That's why I hate this game! Heroes only had visuals somewhat like that. it was one of the worst freakin games o ever played. heroes was a very good game with nice graphics, a good story, great gameplay, lots of stuff. 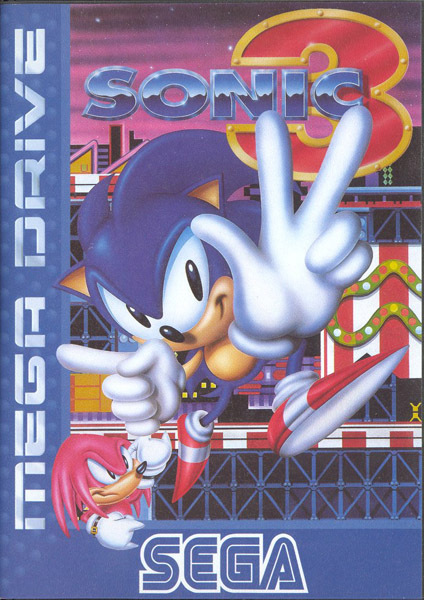 it was also the first sonic game i ever played. Joe do you understand development? So they had to go for sidescrolling gameplay. They aced it and made one of the greatest games of the Nineties. are you joking? i've played 90's games that are hundreds of times better! sonic games were *beep*ing crap in the 90's. even super mario bros was better than that. that game was pretty much crap, too. but sonic, ohh, sonic...i couldn't een play his 2D games. there is not 1 of his 3D games i have not loved, and the only 2D one i loved what chaotix. Ok I'll respect your position. Joe, gaming technology of the time wasn't as sophistocated as now. It couldn't generate 3d images. i'm not stupid. i know that. so why complian about something that was as good as it could have been for its tim? Why complain about Halo 3? Cause you don't like it. it could have been thousands of times better if thye tried.